Remember your first flight? Way back in the day they used to have kids come up to the cockpit and meet the pilot and get their flight pin. That moment when children would meet the captain of that airplane in the cockpit with all of those knobs and lights and all that equipment would stick with that person. No wonder why so many kids wanted to be pilots. If your child wants to fly planes, that air of authority might just be part of that appeal. Those captains not only get to travel the world but they also get to wear a pretty wicked uniform. Everything from those shiny shoes to the well-pressed coat and the gold details is impressive. The most important part of that uniform is the distinctive captain's hat. 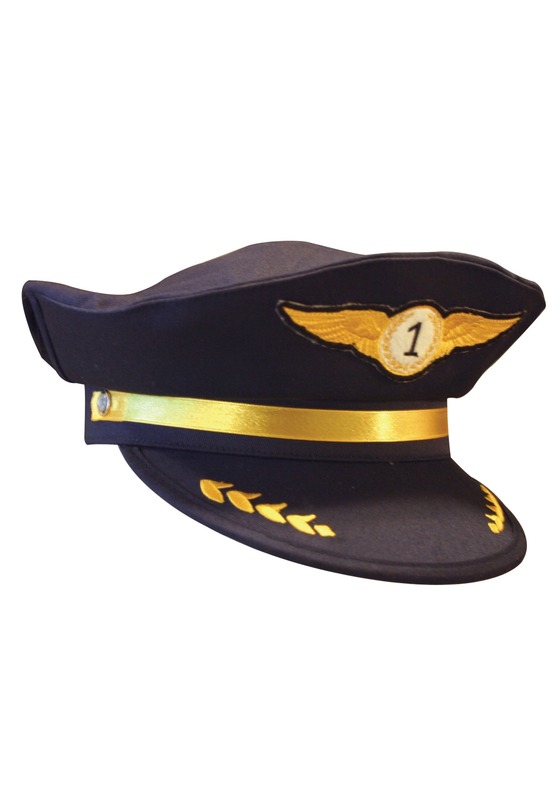 This cap with its cool winged gold patch and embroidered details on the bill is sure to give your little captain the authority to fly his imaginary plane. When they're playing pretend in their trusty cap they're sure to face nothing but friendly skies!